So what is the benefit of starting a year out? Planning a year in advance allows an event coordinator time to secure event details early. Lola Rizer of the Beckley Buddy Walk® shares, “Although you [may not] be doing a lot right away, it is a good idea to have next year’s location, date and basic events lined out well in advance.” Once the basics are nailed down, event coordinators can work on opening their registration sites and begin encouraging their team captains to fundraise. In the results from a 2014 survey ds-connex did of team captains from various walk sites, one comment we received repeatedly was that team captains didn’t feel like they had enough time to effectively fundraise. On average 62% of the events that used Stride in 2014 opened their fundraising website with two month or less time until their event. The events that had the highest fundraising totals were open for a few months and had very active team captains and event coordinators who provided constant encouragement, excitement, and incentives to keep the fundraising momentum. In 2015, many event coordinators using Stride had their fundraising sites open by April 1st in an effort to start early, get the word out, and allow team captains more time to fundraise for their walk. While a walk is one day in time and the fundraising sites are typically seasonal (open for a span of several months), the walk season is in actuality a year-round conversation. In our research, we found that this is the case for many top team captains, who are constantly generating ideas for mini fundraisers like bake sales, golf tournaments, ice cream socials, dine to donate nights, etc. Don’t wait for it to be too late! 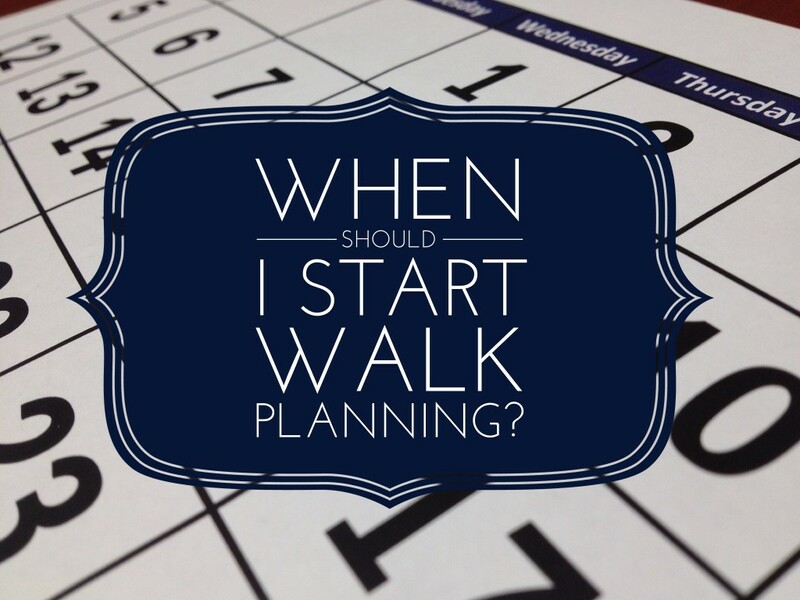 Start having those 2016 walk conversations now, and make 2016 the best walk event yet! We have some great additional tips in our research reports from 2014 that are available on our website.